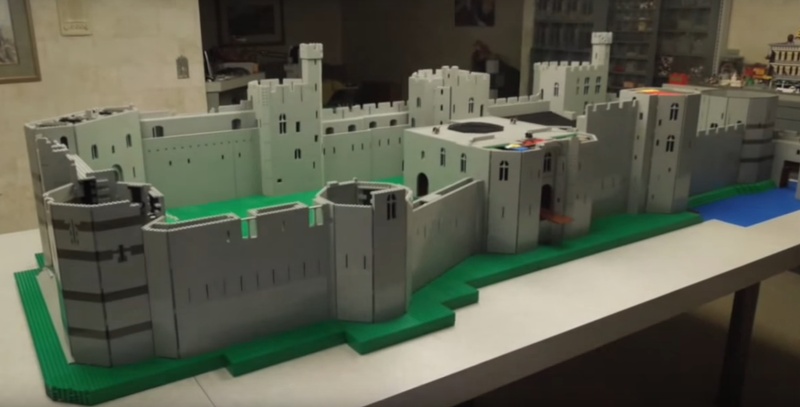 In 2015 Illinois based Lego hobbyist spent a whopping three months creating a lego replica of the classic North Wales fortress as it would have appeared in its prime. Watch the timelapse as Bob Carney, a retired doctor and Lego enthusiast used no less than 70,000 individual Lego bricks in order to build this absolute titan of a Lego building. The Castle was completed with the flags of the princes of Gwynedd, and roaring, fire-breathing dragon, not to mention all of the resident lego men who no doubt assisted in the building of the massive lurching fortress. The real-life castle is the pride and joy of Caernarfon town, it is often hailed as one of the most amazing castles in all of the UK. It was the site of Prince Charles of Wales’ investiture. Caernarfon’s rich heritage and idyllic surroundings make it a very popular place to visit, and leads many to look into holiday homes Snowdonia.